• Chase Briscoe will start his third race in the No. 98 Stewart-Haas Racing with Biagi-DenBeste (SHR) Ford Performance Mustang Saturday afternoon at Charlotte (N.C) Motor Speedway. 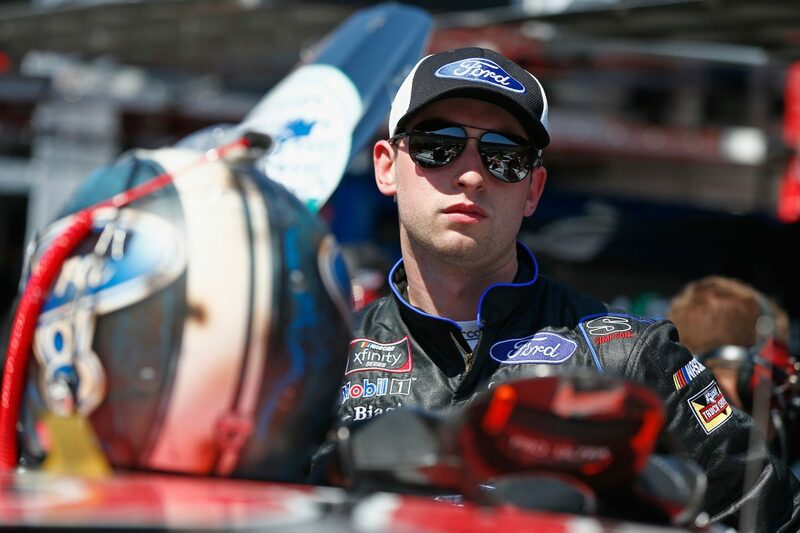 • As a member of the Ford Performance Driver Development Program, Briscoe also will race the SHR Mustang Sept. 29 on Charlotte’s “roval,” and Oct. 20 at Kansas Speedway in Kansas City. Briscoe has an additional 12 Xfinity Series races with Roush Fenway Racing in 2018, as well as several sportscar races. • Briscoe will be joined in the Charlotte field by SHR teammate Cole Custer in the No. 00 Haas Automation Ford Mustang. • The No. 98 Ford makes its sixth appearance of 2018 at Charlotte. Aric Almirola finished 35th Feb. 17 at Daytona (Fla.) International Speedway, Kevin Harvick won Feb. 24 at Atlanta Motor Speedway and finished 19th April 7 at Texas Motor Speedway in Fort Worth. Briscoe finished 23rd at Bristol (Tenn.) Motor Speedway in his SHR debut April 13 and 16th at Talladega (Ala.) Superspeedway April 28. • Briscoe has made five starts in Xfinity Series competition this season. He finished 15th at Atlanta and 11th at Texas, 22nd at Bristol, 26th at Richmond (Va.) Raceway and 16th at Talladega. • In 2017 Truck Series competition, Briscoe earned four poles and won the season-ending Ford EcoBoost 200 at Homestead-Miami Speedway. Briscoe’s 10 top-five finishes and 14 top-10s enabled him to make the Truck Series playoffs, where he finished sixth in points and scored the series’ rookie of the year and most popular driver awards. • Briscoe won six races en route to the 2016 ARCA Series championship. • Briscoe finished 22nd in his lone start in Truck Series competition at Talladega Oct. 14, 2017. He finished third in his lone ARCA start at Talladega April 29, 2016. • The 23-year-old Mitchell, Indiana native is a third-generation driver. His grandfather Richard Briscoe is a legendary Sprint car team owner, and his father Kevin Briscoe raced Sprint cars for more than 20 years and won more than 150 feature events. • Briscoe’s first time behind the wheel of a racecar came in 2001 in a Quarter Midget. In 37 starts driving 410 Sprint cars, Briscoe racked up eight top-fives and 17 top-10s, including a win in the last race of the season, where he broke Jeff Gordon’s record as being the youngest driver (13) to win a 410 Sprint car race. • Briscoe started second and finished 11th in his lone start in the Truck Series at Charlotte on May 19, 2017. What are your thoughts on Charlotte?